Organizing your camera’s operation and button layout. A review of specific functions your camera offers, including HDR, Eye-AF, S&Q, and silent shooting modes. A demonstration of how to best use these features depending on your shooting environment. 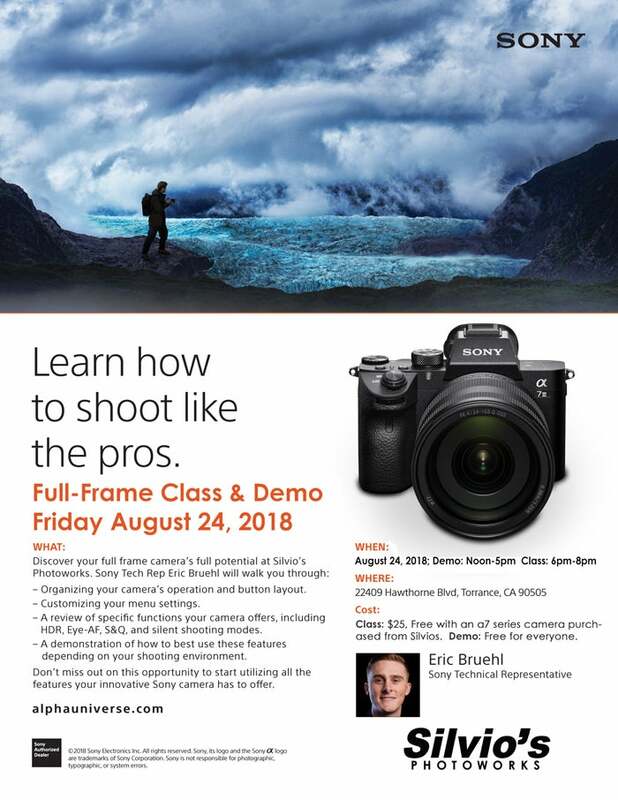 Don’t miss out on this opportunity to start utilizing all the features your innovative Sony camera has to offer! Demos will occur before the class from 12-5pm.